The architectural elegance of the Artés Pendant Light by CTO Lighting showcases their inspired use of exquisite, honed alabaster stone specially sourced from Spain. 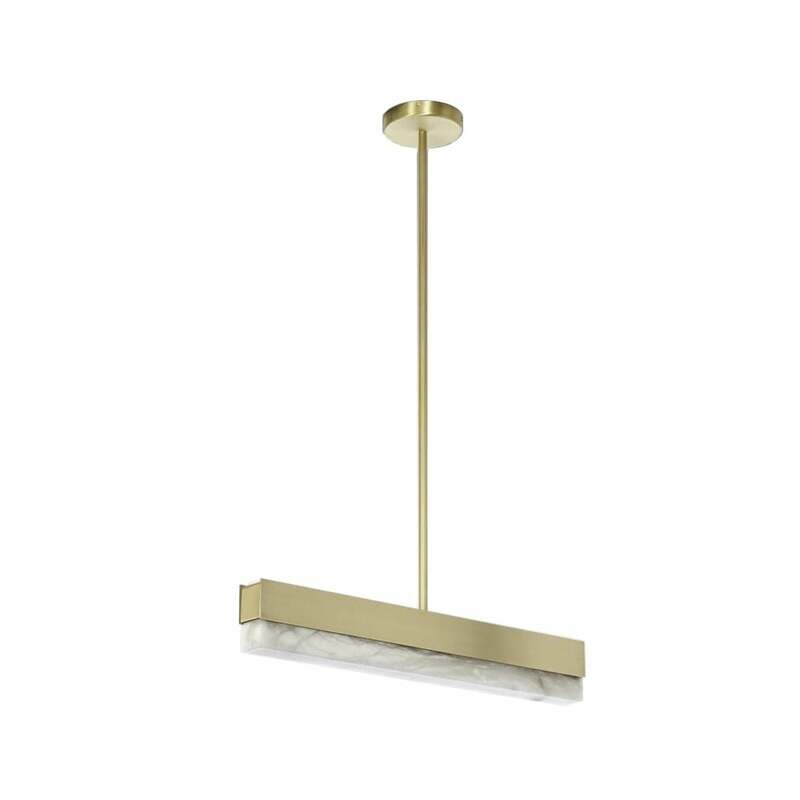 Framed with a choice of their signature satin brass or bronze, the Artés Pendant Light is designed to enhance a range of interior schemes from Contemporary, Mid-Century Modern and Industrial. The strong, clean lines are thoughtfully softened with the decorative alabaster giving a warm and seductive lighting effect suitable for any room in the home, hotel, bar, yacht or office. Complete the look with the Artés Wall Light and Artés Floor Lamp.